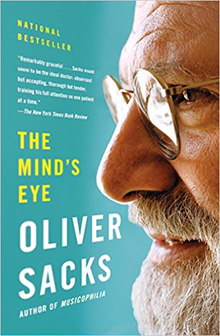 In The Mind’s Eye, Oliver Sacks’s eleventh book, he delves into issues of perception, illustrating his points with a mix of case stories, personal experiences, and essays. As with his previous books, he examines a handful of rare and fascinating disorders, exploring how profoundly they affect the patients—and the creative ways in which they work to adapt to living with them. The book’s focus is the relationship between visual perception and language, and in a departure from his previous writings, Sacks includes his own experience with ocular melanoma as one of the illuminating case studies.